Three minutes can seem like forever when you're waiting for tea to steep. Not anymore. Perch a little fisherman on the edge of your cup, hang a bag from his pole, and enjoy. 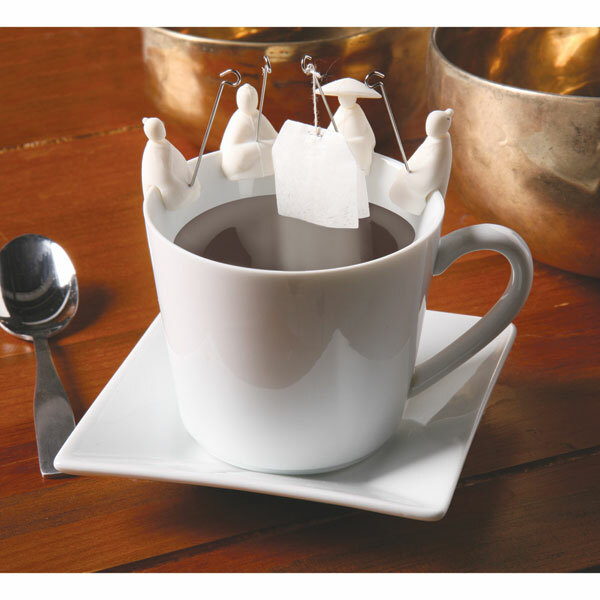 Set of four, all different, adds fun to tea with friends. Each is white silicone, about 3" high.